As a business traveler to Uganda, we understand that you're concerned about what kind of food you will eat during your trip to Africa. You want to know how the food is prepared and whether you will be able to find your home food. If vegetarian, then you're wondering whether you will be able find some quality vegan cuisine in Africa. You're also contemplating whether you will stick to your home dishes or you will explore some African Traditional foods. Your waitress would most certainly freakout on your request and become extremely cautious when serving you...! You will find info about the common foods eaten in Uganda and recipes for the dishes that are normally made out of these Uganda foods. We've attempted to make some translations for most of the local names given to the foods in Uganda for your easy of understanding. For your bonus, one great way you will be able to quickly learn the African culture as you do your business, is to learn the Uganda Cuisine. For-example; the Baganda, a prominent tribe in Central Uganda have a common proverb saying that; Oluganda Kulya, Olugenda Enjala teluda; literally meaning that brotherhood is about sharing food, and if you get a visitor, even if he/she is your relative/brother, the relationship will end when the person goes without food, and will never visit you again. 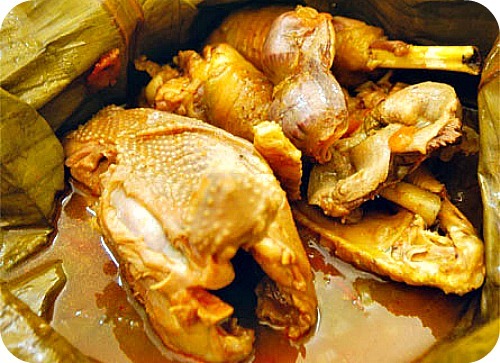 In Uganda, if you're a man going to marry a Muganda lady, and have gone for the cultural Introduction Ceremony, at the girl's parents' home, where you (the Muko) have to pay the bride price, you will be served with a Full Chicken cooked as a Luwombo which is considered a sign of respect. any African cultural function without serving something to eat. And for sure if you get the food Cooking correct on your function in Uganda... , then you've made a successful occasion by a distinction. Even when you're out alone on a vacation in Uganda, and you want to try out some authentic/Traditional African Dishes, you will want your food to have been cooked the right way..! You will find Recipes on how to Cook traditional local Foods/dishes in Uganda You will find dishes from (A) Buganda/Central Region; (B) Western Region; (C) Eastern Region and the (D) Northern Region. How long the dish will keep and its suitability for freezing. Nutritional information, such as calories per serving and grams of protein, fat, and carbohydrates per serving. The Cost of the different ingredients in the Recipe and where to buy the different foods in Uganda. You are also able to request for Catering/whole Events planning Services if you have no cooking time. Mushroom (obutiko) Foods; (a) Obutiko obubaala, (b) Big with very long tap root ( Gudu), (c) Bugya nankumba (Obtiiko ordinary- now being grown), (d) Obutiko with very long tap root. Have a Great Uganda FOOD Recipe? Do you have a great Recipe or Question about Uganda Cuisine? Share it!